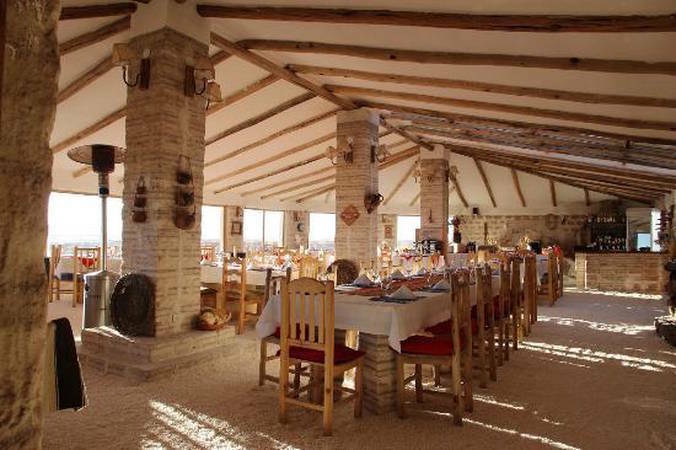 The Hotel Luna Salada is located near the Salar of Uyuni; a mystical place unlike any other. Its architecture is in a coca leaf shape, which reflects energy and balance. 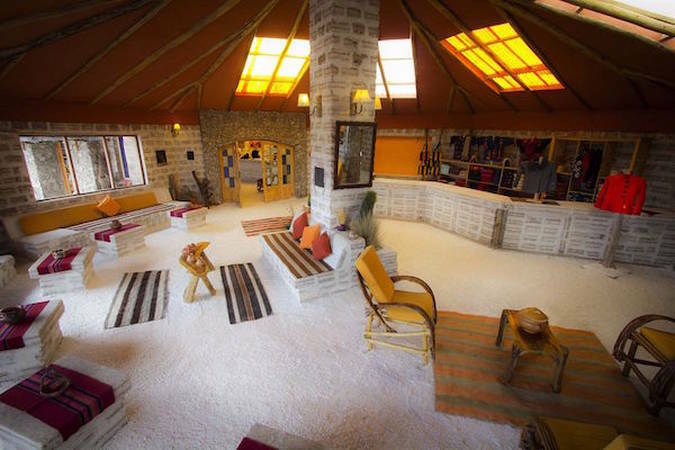 The walls, the floors, the furnishings and the entire hotel’s structure are completely made of salt! 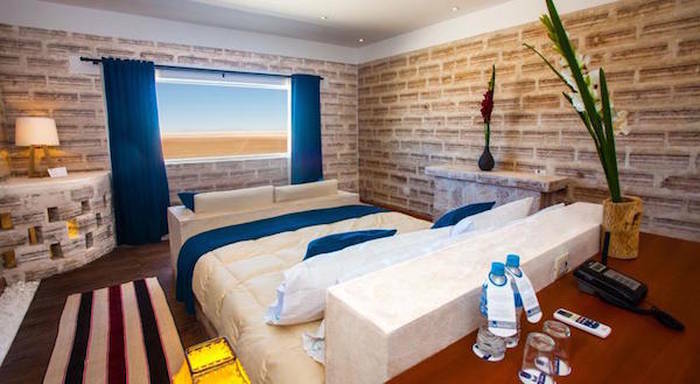 Set in a remote spot overlooking the famous Uyuni salt flats, this unique hotel made from salt blocks is 26 km from Uyuni airport. 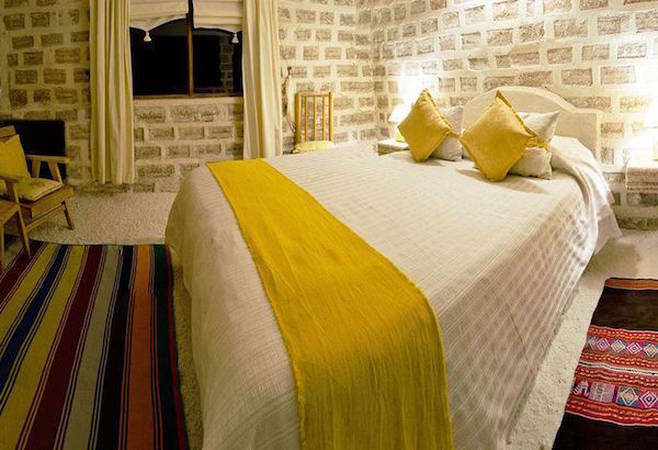 Rustic rooms, built entirely from blocks of salt, are TV-free and have en suite bathrooms, fireplaces and Wi-Fi (fee). Suites add living areas, while upgraded suites add iPod docks and complimentary spa access. A buffet breakfast is served in an airy restaurant with views of the salt flats. Other amenities include a cozy TV lounge with hammocks and a fireplace, plus a game room. A spa offers a sauna and a hot tub. 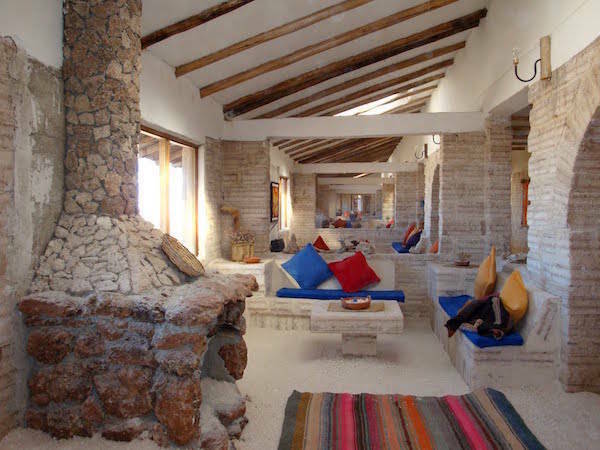 See other hotels in Uyuni.